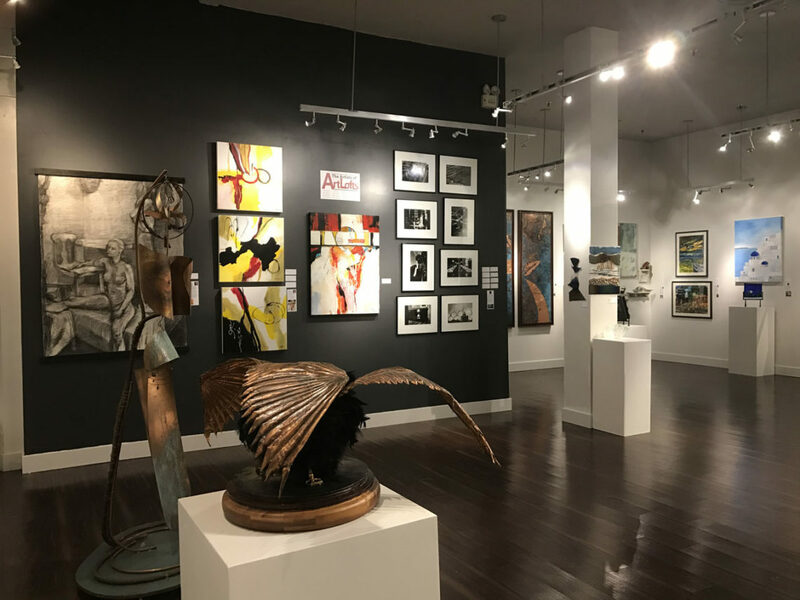 During a four-day pop-up exhibition from March 1 to March 4, Florida CraftArt will present The Artists of ArtLofts in its exhibition gallery. The 16 award-winning and emerging artists will present recent artwork which includes drawings, encaustic, glass, jewelry, mixed media, painting, photography and sculpture. ArtLofts is on the second floor of Florida CraftArt and has working artists’ studios. The studios are usually open for the Saturday ArtWalks or by appointment. This exhibition will give the public an opportunity to see the artists’ work and to meet them in person at the reception on Friday, March 3 from 5:30 to 7 p.m. 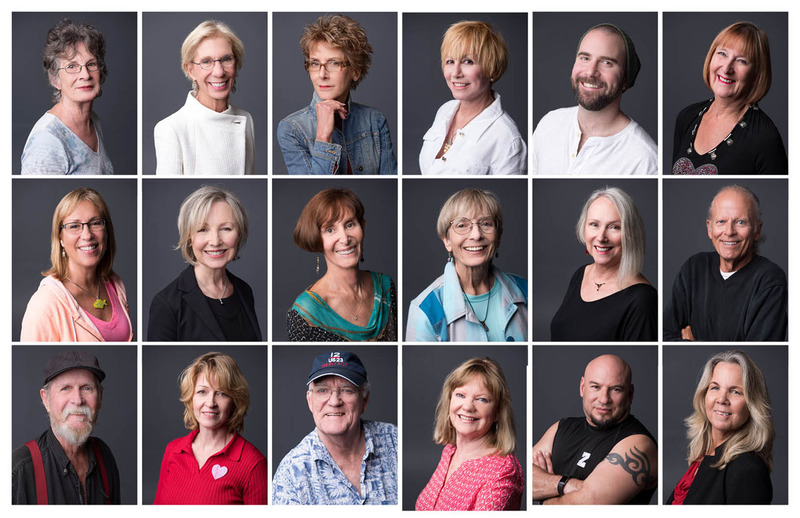 There will also be a docent-guided gallery tour on March 1 at 1:15 p.m.
Artists in the exhibition are Javier Dones, Donna Frost, Mavis Gibson, Jeannine Hascall, Susan Hess, Brian James, Beth Kauffman, Betsy Orbe Lester, Carol O’Bryon, Kirk Palmer, Karen Porter, Rebecca Skelton, Kas Turner, Joe Walles, Lee West and Rick Whalen along with art framer Gilbert Johnson. Javier T. Dones was born in Rio Piedras, Puerto Rico in 1967. He graduated with a Bachelor of Fine Arts degree in 1990 from the Universidad Interamericana de Puerto Rico. Since 1992, he has lived in Saint Petersburg and since 2005 has worked from his ArtLofts Studio 209. 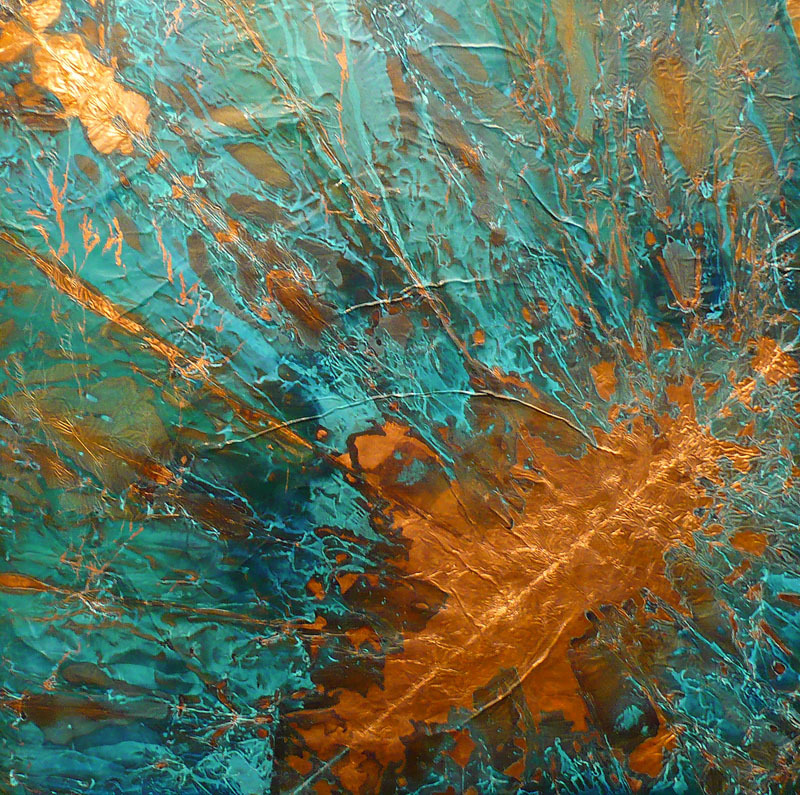 Mr. Dones mainly works in copper, but also uses other metals, natural pigments and enamels incorporated in the pieces. He uses a fumed copper technique, powdered metals and enamels. The coloration is the actual copper patina, elicited by his unique chemical process. Donna Frost is an award-winning contemporary artist residing in Clearwater, Florida. She began her painting journey using watercolors to create realistic paintings. 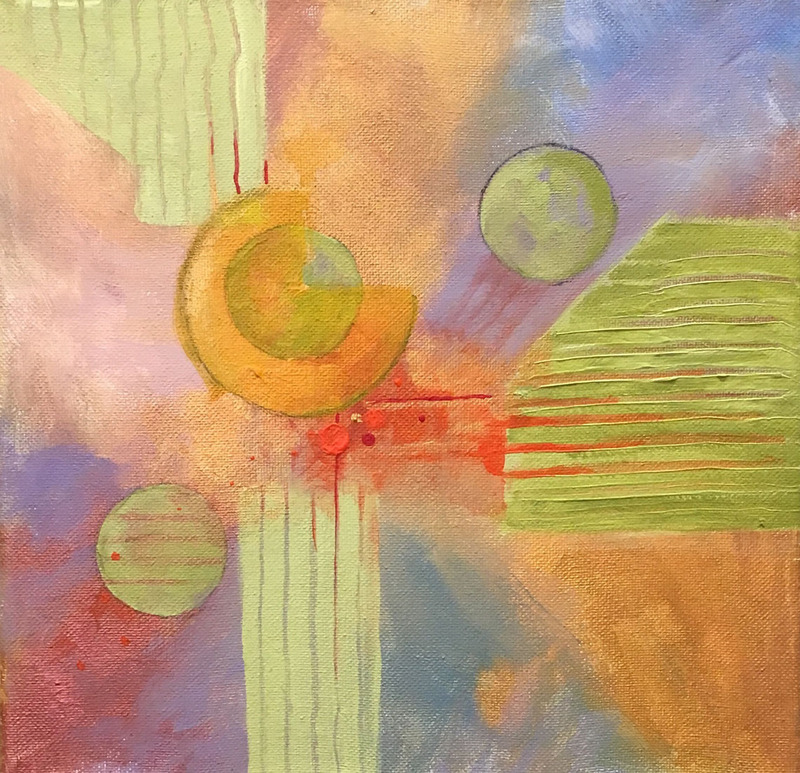 Soon she found herself surrounded by many abstract artists and fell in love with the idea of creating a painting intuitively and, fortunately, found her true passion. Her work now emphasizes not only abstract and non-objective painting but also includes a loose and interpretive style of figurative painting. She uses a wide range of media and techniques including layers of acrylic paint with a variety of texture and collage elements. Find her in ArtLofts Studio 203, or visit www.donna-frost.artistwebsites.com. Mavis Gibson was born in Saskatchewan, Canada. She began painting in 2009 after spending time working with a gifted artist in the south of France. Afterwards in 2010, she studied at L’Ecole des Beaux-arts in Paris. The texture of Paris with its intrinsic romance with the arts, its history, sensuality, architecture and its light continues to exert its influence on her work. Returning to Florida, she continued working in oils and acrylics and considers herself both an abstract and figurative painter. Although her paintings often include recognizable imagery, it is not her intent to create documentary work. Mavis’ interest is in creating works that convey emotion, suggest a contemplative state, or elicit an alternative sense of being. To see more of Mavis, visit her studio in ArtLofts 215 or www.mavisgibson.com. Jeannine Hascall earned a Bachelor of Fine Arts with an emphasis on painting from Southern Illinois University, then later a Masters of Fine Arts in Fiber. Her fascination with textiles and fabric became an intellectual journey. When she began using photography a few years ago, yet another transformation took place. Recent shows have included a solo exhibit at the Articles Gallery and a collaborative showing at the St. Petersburg Opera Company Gallery. Ms. Hascall is a resident of St. Petersburg and supports the art scene in the city as much as possible. She serves as a trustee of The Dali Museum. She is in ArtLofts Studio 246. People wonder what inspires someone to become an artist? Considered a “creative colorist” Susan Hess’ work reveals immediately it is her passion for color. Her bold use of vibrant colors and fluid strokes creates energy in each painting. Born in Pittsburg, Pennsylvania, Susan became fascinated with colors at the age of nine when she created her own colors by melting together crayons from “the big box” of Crayolas. She attended Maywood College and graduated with a bachelor’s in fine arts and interior design. Working for 25 years as an interior designer, she continued her fascination with color through her use of paint and fabrics. She developed her artistic skills studying with national and international artists. A resident of Madeira Beach, Florida, for more than 20 years, she creates interpretive impressions of people, places and nature. Her experimentation with acrylic, watercolor and collage led to a fascination of encaustic wax painting. her new encaustic work combines the spontaneity of color, the texture of acrylics and the flow of watercolors. She is currently working on her Linear Series which combines the interaction of color, line and surface. Susan paints and exhibits her work at ArtLofts Studios in St. Petersburg, Florida. Her work has been included in numerous regional and national exhibits. She is a signature member of the Florida Watercolor Society and the International Society of Acrylic Painters. She is in ArtLofts Studio 211. Visit www.susanhessartist.com. Brian James is an American fashion advertising photographer. Born and raised in the Sunshine State, he takes pride in his community, and the people that make St. Petersburg a great place to live. In his work, Mr. James listens to his photography clients and recognizes the essence of their intended message. Visit BrianJamesGallery.com or ArtLofts Studio 210A. Beth Kauffman is a stained-glass artist and painter located in St. Petersburg, Florida. She has worked with stained-glass and fused-glass for nearly thirty years and has published four stained-glass pattern books. From brightly painted jellyfish and groupers, to free-form stained-glass mermaids, Kauffman’s pieces are often a reflection of her coastal and nautical surroundings. Kauffman also has a passion for history, which inspired her Legend series, a line of glass panels created with reclaimed, broken glass that tell the stories of local historical spots in Florida. Her recent Legends works include the St. Pete Pier, Snell Arcade, Tampa Union Station, as well as her piece currently on display, St. Petersburg’s Central Avenue in her ArtLofts Studio 234. An award-winning mixed media artist, Betsy Orbe Lester teaches where she learned, both at Eckerd College (Bachelor of Arts) and University of South Florida (Master of Fine Arts). Her artwork is in these permanent collections: Tampa Museum of Art, Gulf Coast Museum, Neiman Marcus and private collections. Recent exhibitions include Denis Bibro Fine Art, New York City; Brevard Art Museum; Boca Raton Museum; and Tampa Museum of Art. Solo shows include: Merrick Gallery and The Morean Arts Center. Betsy was the recipient of Pinellas County Arts Council Artist Resource Fund in 1999 and 2004). She was 1996 Pinellas Artist in Residence. She has been featured on Kid’s Place as the “Art Lady” on Vision Cable TV and was a former Delta flight attendant. Betsy resides in Treasure Island, Florida. Her studio is ArtLofts 201. Carol has transitioned from a career as an interior designer to become a working artist. Her art reflects the same visual language as her designs – an interplay of space, color, texture and light. After moving to Florida in 1997, Ms. O’Bryon found the best of all possible worlds – water, light and abundant nature. These have marked her oil paints, as well as her glass art. Fused glass is a recent passion for Carol. She affectively uses the colors, textures and light reflections of glass to create unusual, 3-dimensional, abstract pieces. While abstraction is often used in painting, it is seldom found in fused-glass work. She is in ArtLofts Studio 206. Karen Porter is an artist who uses inks, acrylics and watercolors. She is an illustrator and a teacher. She is in ArtLofts Studio 210B. Rebecca Skelton has exhibited her work since 1974 in juried shows such as Strange Figurations, Limner Gallery, Hudson, NY; Provincetown Art Association Works on Paper; All Florida Biennial at the Polk Museum of Fine Art; Brave Destiny at Williamsburg Art and Historical Center in Brooklyn, NY; Transparency/Project Creo in St. Petersburg; and the World Festival of Art on Paper in Ljubljana, Slovenia. She has had solo shows and participated in group invitationals throughout Florida, most recently the traveling exhibit, Exquisite Corpse International at the Museum of Fine Arts and Chihuly Museum in St. Petersburg. Ms. Skelton is represented internationally in private collections and the permanent collection of University of Tampa, Auburn University, The Montgomery Museum of Fine Arts, the collection of the State of Florida in Tallahassee and the Chelsea Hotel. Her work is included in A Body of Work; Tampa Bay Artists Interpret the Figure, published by The Arts Center in St. Petersburg, Florida; Tampa Review, literary journal, published by University of Tampa, and Florida Humanities published by Eckerd College. She received a Pinellas County Artist Resource Fund Grant, and a series of drawings was funded by Kickstarter. She has won Best in Show in the Florida Artists Group’s exhibition at the Boca Raton Museum of Art and Award of Excellence in a Morean Arts Center members show. Her education includes a Bachelor of Fine Arts and Master’s of Fine Arts from Auburn University in Auburn, Alabama, where she pursued the study of painting, drawing and printmaking. She has continued her studies in various areas of art, including jewelry classes to refine her sculpture techniques. She has participated in The New York Studio School’s Drawing Marathon in 2000 and 2004. As an adjunct professor of art, Ms. Skelton has taught for University of Tampa, St. Petersburg College, USF St. Petersburg, HCC Ybor and Eckerd College. She also has taught a diverse set of students, such as developmentally-disabled adults, children, teenagers and senior citizens through The Morean Arts Center, Creative Clay, Youth Arts Corps and the Dali Museum. She is in ArtLofts Studio 208. Visit www.RebeccaSkelton.com. Kas Turner is a long-time professional artist who lives in St. Pete Beach. Her work has been included in numerous regional, national and international juried shows and exhibitions. Kas paints colorful contemporary interpretations of Florida coastal life with acrylics and exhibits her work in her ArtLofts at Florida CraftArt Studio 232 located in downtown St. Petersburg, Florida, at 5th St. and Central Avenue. In 2011 she exhibited at the Hyde Park Village 22nd Annual Art Fair in Tampa and the St Armand’s Circle 23rd Annual Art Festival in Sarasota, Florida. Kas is a signature member of the International Society of Acrylic Painters, ArtX5 and the Professional Association of Visual Artists. Joseph N. Walles studied business administration, education, liberal arts and sociology at the University of Toledo from 1966 to 1971. He began shooting for Toledo area newspapers while still in high school. In Florida, he was a photographer for the Clearwater Sun from 1972 until 1980, when he began as a photographer for the St. Petersburg Times. He was a picture editor there from 1995 until 2011. He continues to be a photographer for his own creative satisfaction. Mr. Walles has exhibited his award-winning work since 1979, including solo shows at Florida Gulf Coast Arts Center and the Arts Center in St. Petersburg. Besides his career as a photojournalist, his work has been published in calendars, books and record jackets. His work is in numerous private collections and the American Securities Insurance Corporate Collection of American Photographers. He is in ArtLofts Studio 208. Lee West was attracted to the arts as a small child. She nurtured those interests at the University of Colorado and The Art Students League in New York City. In New York, she studied under Dagmar, then lead illustrator for ‘Vogue’ magazine. Ms. West moved to Florida in 1971, after her stint in NYC as a fashion illustrator, and was immediately inspired by the flora and fauna of the South. Paintings of flowers and landscapes are painted in her studio from onsite sketches and photos. She designed ‘Sea Life’ stained-glass transoms for the City of St. Petersburg Bay Vista Adult Recreation Building. In 2010, the St. Petersburg/Clearwater Convention and Visitors Bureau, along with Florida Craftsman, asked Lee to make Winter the dolphin as an 11½- inch stained glass ornament which they mailed to the White House to hang on the Blue Room Christmas tree. She is a past president of the Pinellas Park Art Society, creator of awards for ‘Pride in the Park’ and ‘Music Without A Net,’ and was co-owner of the Midnight Pickle Art Gallery in old Palm Harbor. 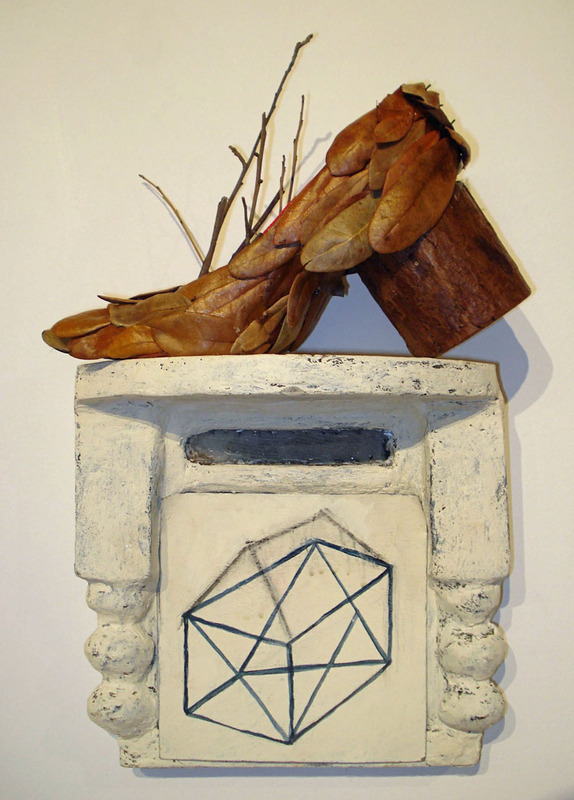 Ms. West shows at Florida CraftArt, J.J. Watts Gallery; she participated in Art in Bloom at the Fine Arts Museum in St. Petersburg and was in the 5×5 show at the Tampa Museum of Art. She is currently a member of Artx5 (a group five artists) exhibiting throughout the State of Florida. Lee West’s studio is in ArtLofts Studio 212. See more of her work at www.leewestartist.com. Rick Whalen was young when he began his art studies with his mother, Mary Stanley Whalen, a well-known Niagara Falls painter who attended the University of Buffalo, graduated with a degree in Fine Arts, and continued studies at Albright Knox. The family lived in Montreal, Buenos Aires, Rouen and Baghdad before settling in St. Petersburg in 1956. After years of working in oil with RR Robinson in his beach studio, Whalen began to experiment with watercolors and fell in love with the transparency of the medium. He began plein air painting with Jan MacFarlane in 1990 and continued studying with Bryan Ateyo, Tom Lynch, Tom Jones, Frank Webb, Don Getz, and continues with Taylor Ikin on Yupo paper, acrylic painting using palette knife and bright colors. Much of Rick’s art incorporates this colorful palette today. He is a juror on occasion, and generally likes the congeniality of fellow artists. In 2009 he took first and second prizes at The Beach Art Center on Indian Rocks in two of their summer shows. His art can be found all along the eastern seaboard. In 2013, he painted the poster for The Clearwater Jazz Holiday. Much of his art is created as private commissions. Visit Rick in his ArtLofts Studio 207 or www.RickWhalen.com. In 1964, Gilbert Johnson began custom framing in Amarillo, Texas. He moved to St. Petersburg in 1978 and purchased Poor Richards Framing in 1980. For the next 25 years, the great citizens and business of St. Pete supported his shop until he retired in 2005. In 2013, he “unretired” and is now the resident framer in the ArtLofts Studio 243. He does custom framing for interior designers, businesses, the Vinoy Hotel, museums and, of course, artists.